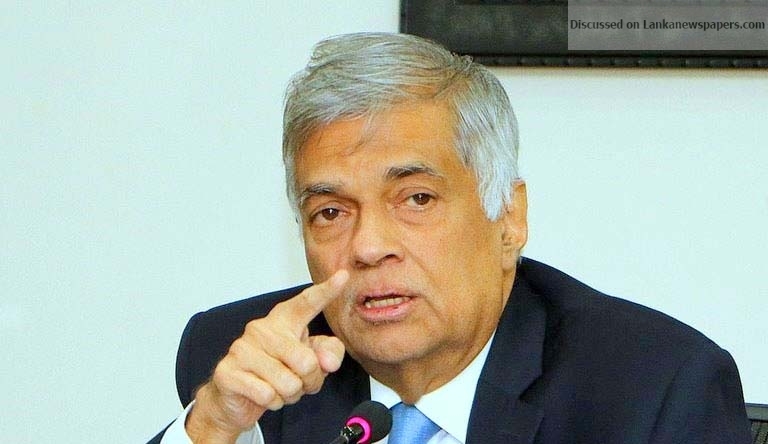 The Prime Minister made this comment replying to Joint Opposition MP Udaya Padma Shantha Gunasekara who queried on newspaper reports which said that a minister has employed five underworld leaders as his private bodyguards. The PM said he instructed to ask from the relevant newspaper as to how they received the information as it has not come from the Police Spokesman and check whether it was true. “You were the people who protected rogues, underworld leaders and rapists. You could not remove even the Pradeshiya Sabha Chairman who raped many women. How can you speak like this and what is the right you have to point the finger at us?,” the PM said. Law and Order Deputy Minister Nalin Bandara said he would look into the allegation and update Parliament. “We did not nurture the underworld. Where did these underworld leaders hide during the last regime? Who were behind them? We will reveal to this House” he said.